Your HVAC system is responsible for more than just the interior temperature of your home. It also plays an immense role in determining the quality of the air that is within your property. As such, your central air system has an large impact on your family's health and well-being. At Steele Mechanical, LLC Air Conditioning and Heating, our air conditioning company can help improve indoor air quality by installing systems for air filtration in New Jersey. A central-air air filtration system is one of the best ways to remove unwanted pollutants and contaminants from your home. These systems will provide you and your family with a heightened sense of well-being, comfort, and healthfulness. Our professionals can help you achieve these goals to the greatest extent. 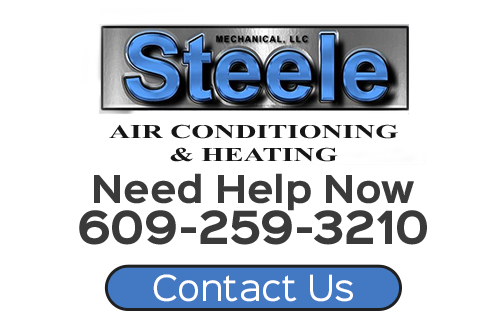 Call Steele Mechanical, LLC Air Conditioning and Heating today if you are interested in installing a whole-house air filtration system in your home. 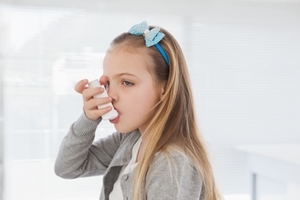 Our New Jersey indoor air quality specialists are here to assist you in any way that we can. We can answer any of your questions and schedule your appointment today. According to the Environmental Protection Agency, the interior of homes are often more polluted than city smog. On average, interior air is 2 to 4 times more polluted than outdoor air. We spend over 90% of our time indoors; as such, the quality of the air within our residences has an immense impact on our health and well-being. Dust, dander, smoke, mold, spores, and building material particulates and chemicals are present within our homes. These contaminants can be circulated throughout our properties via our heating and air conditioning systems. Each and every one of these pollutants can cause a number of allergies, skin discomfort, eye discomfort, and upper respiratory ailments. When you hire our professionals for your indoor air quality needs, you will receive the highest quality services. We will inspect your property in order to determine the best ways to resolve your particular problems. By installing an air filtration system directly into your central air unit, our professionals can vastly improve the quality of the air within your home. We can provide you with a filtration system that will remove up to 99% of the above listed airborne contaminants. You and your family can rest assured knowing that you are breathing the freshest and most healthy air possible. If you need indoor air filtration in New Jersey, please call 609-259-3210 or complete our online request form.